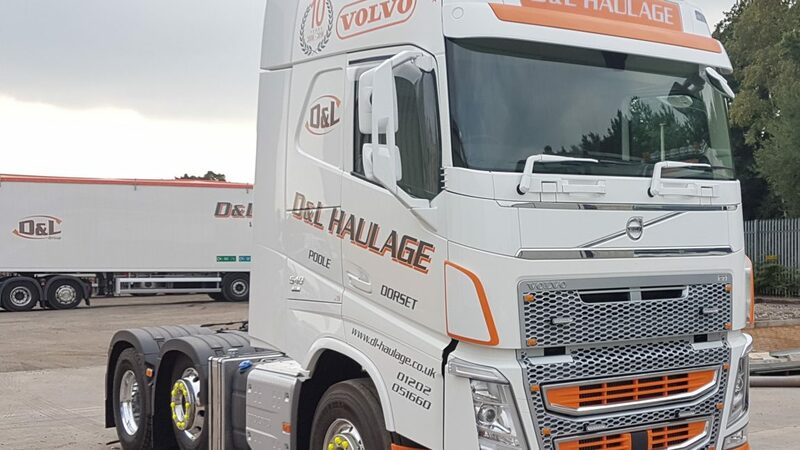 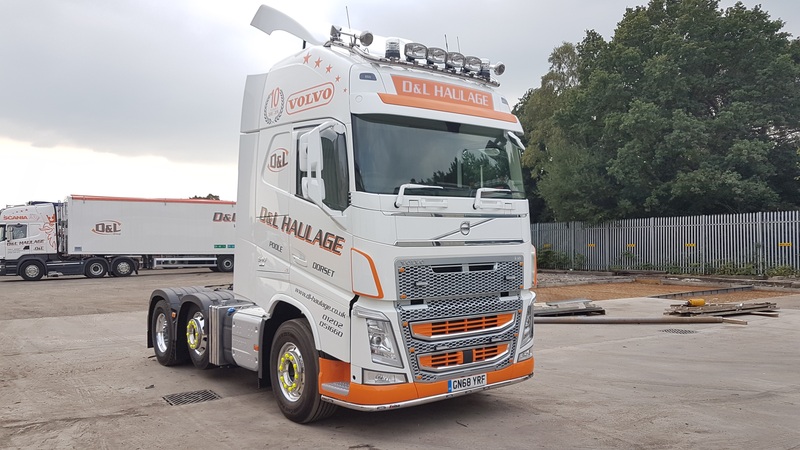 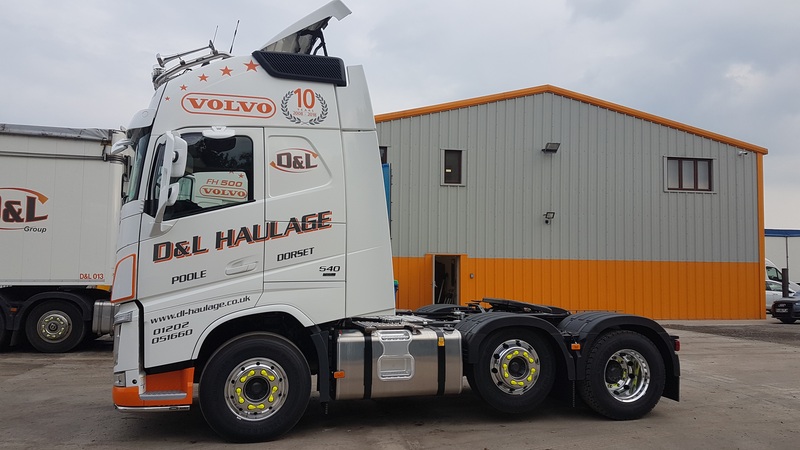 Introducing our latest addition to the fleet, our 10th Anniversary celebration Truck, the amazing looking Volvo FH540 Globetrotter i-shift Dual Clutch Tractor Unit along with the latest state of the art lightweight BMI 125yd Walking Floor Trailer. 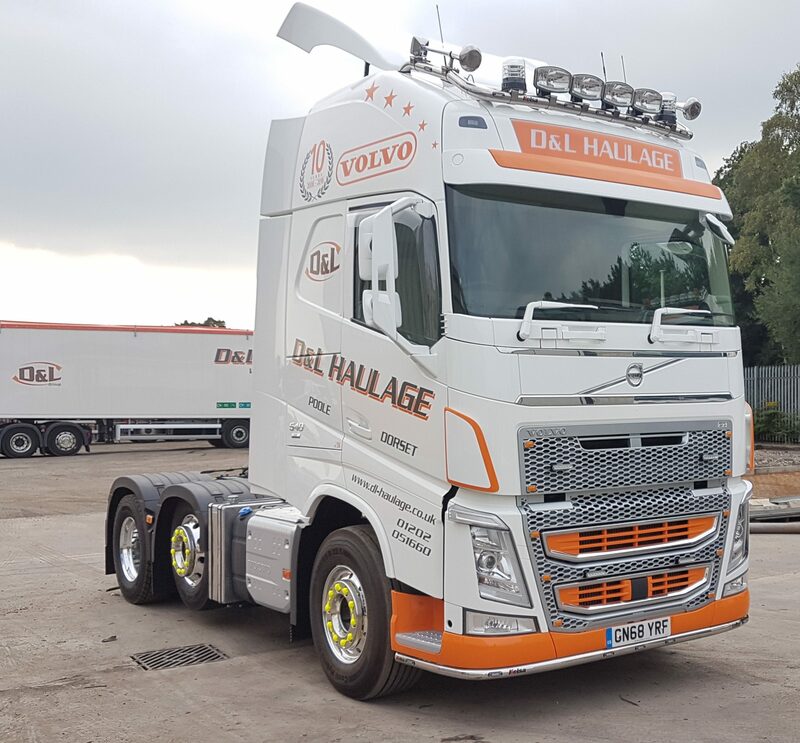 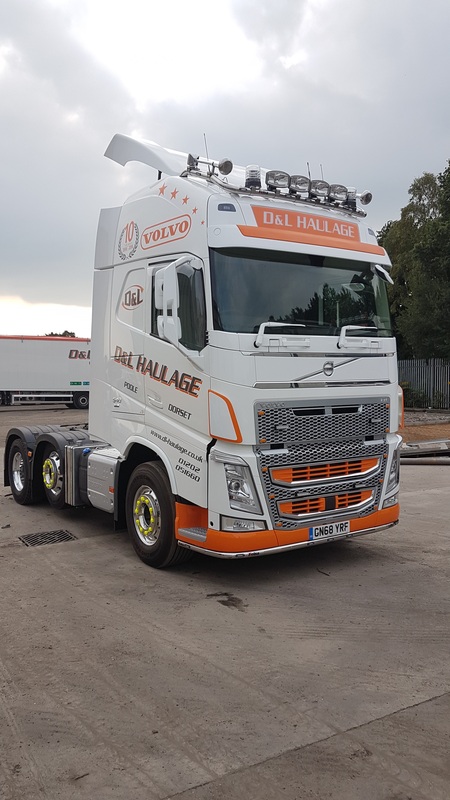 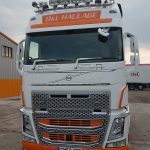 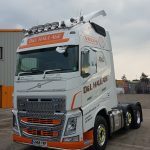 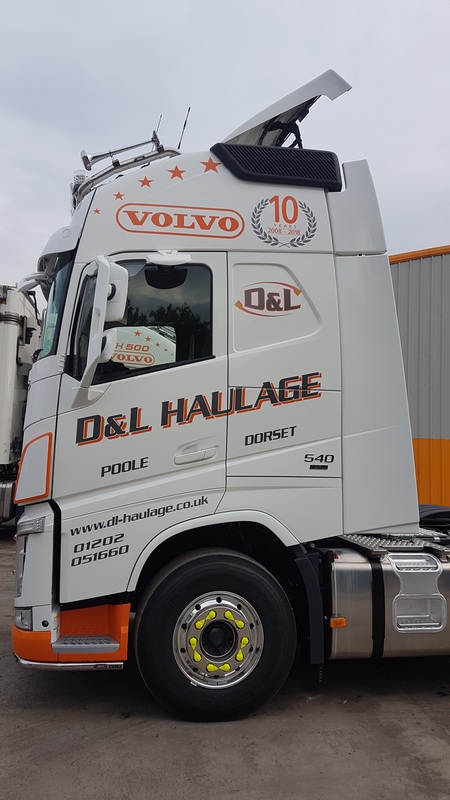 This fantastic looking Tractor Unit again finished in white with stand out orange accents, proud D&L graphics and 10th Anniversary decals sat on polished Alcoa alloy wheels. 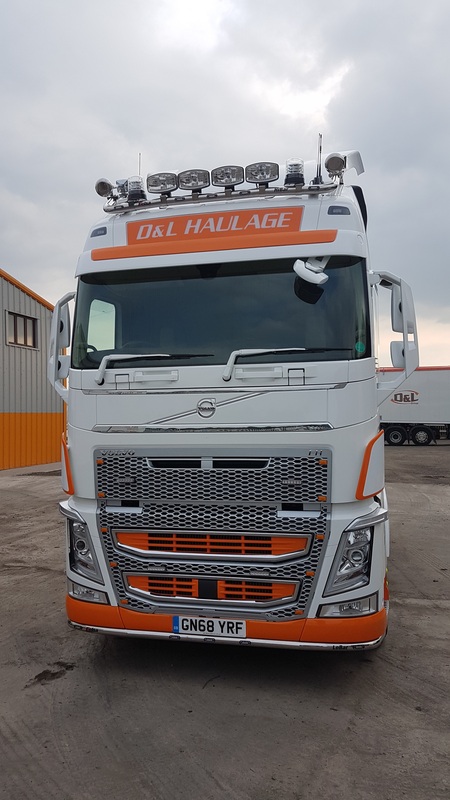 The Unit comes fitted with front mounted Kelsa high bar and low bar, parameter lights on the rear of the unit, xenon headlights, grill mounted strobe and amber led lights along with factory mounted air horns and vertical stainless exhaust stack. 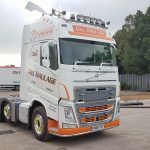 The full leather interior is complemented with mood neon lighting within the cockpit and full integrated intelligent dashboard combining navigation, entertainment, communication and audio systems all controlled with a large 7 inch touch screen or voice command. 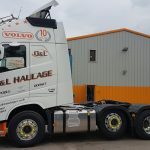 The unit has the latest dynamic steering technology along with load indicator, letting the Driver know of the axle and combined weights of the unit and trailer. 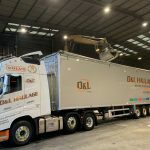 The Trailer itself is a brand new state of the art lightweight BMI 125 cubic yard Walking Floor Trailer with automated sheeting system. 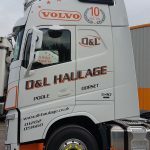 You wouldn’t believe that this amazing Truck and Trailer combination does Bulk Haulage work, as Darren’s constant hard work, effort and endless pride is tantamount to its always gleaming appearance showing to others exactly how clean a truck can be kept even carrying out the dirtiest of work. 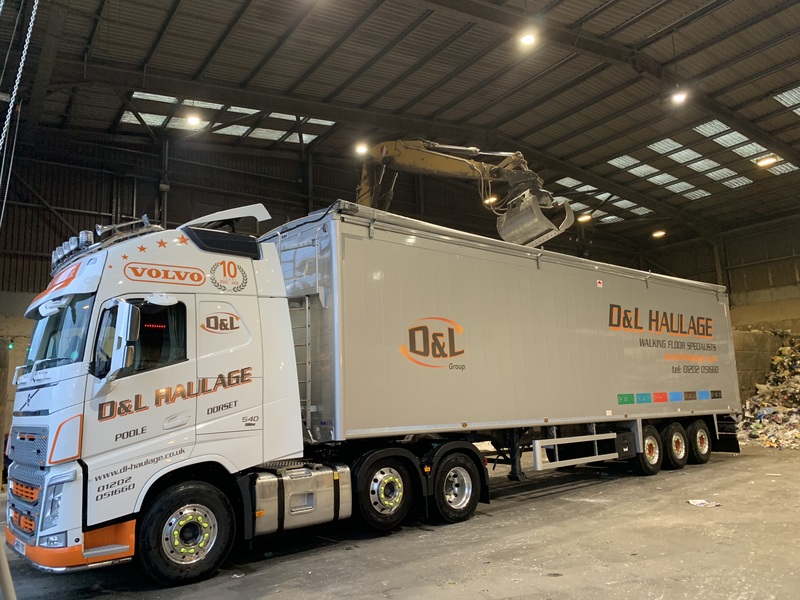 This vehicle and trailer is the latest addition to the on-going expansion and modernisation of the D&L fleet this year.